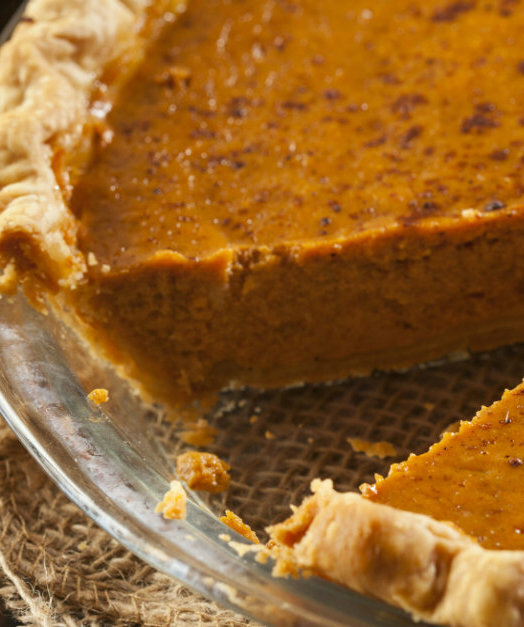 One dessert that just screams “Autumn” is the classic pumpkin pie. This velvety pie loaded with our favorite spices and pairs well with so many of our favorite seasonal dishes. Thanks to canning, a delicious, warm pumpkin pie is never far away, however there’s just something missing when we get pureed pumpkin from a can. Not only is it more satisfying to roast your own pumpkin, but it’s more delicious in the end as well. 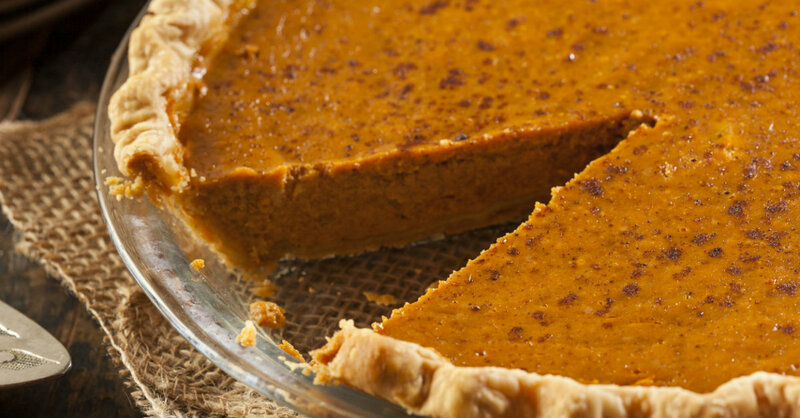 For today’s recipe, we’re leaving those cans in the store and using fresh pumpkin to fill our pies. All you have to do is roast the pumpkins similar to what is called for in our Whole Pumpkin Soup. Take a sugar pumpkin, cut off the stem, then cut in half and scoop out the goopy bits and seeds. Cut into quarters, roast for 45 minutes at 350F, then peel away the skin. Once you’ve done that, you’re good to go! 2 eggs plus 1 egg yolk. Start wit hthe crust. Whisk together flour, sugar, cinnamon, nutmeg, salt, and cloves in a medium bowl. Add butter, and mix in until it’s combined into about pea-sized pieces. Add 4 tablespoons ice water to the mix and combine just until the dough combes together. Shape the dough into a flat disk, cover with plastic wrap, and refrigerate for 30 minutes. Meanwhile, work on the filling. Mix sugars, salt, spices, and lemon zest into a large bowl. Lightly flour a work surface and roll the dough into a round about 12″ in diameter and 1/4″ thick. Roll the dough out into a 9″ pie plate and fold the excess at the edges under itself. Crimp the edges to seal. Pour the filling into the pie shell and make sure it’s even. Bake for 15 minutes, then reduce the temperature to 350F. Bake for another 40-50 minutes, or until a knife inserted into the center comes out clean. Cool on a wire rack for two hours.